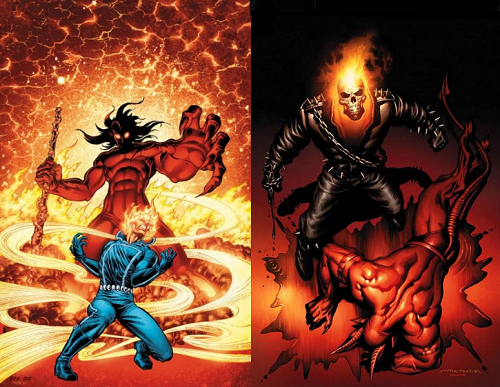 Because of Ghost Rider‘s dark means of justice, he is classified an anti-hero. 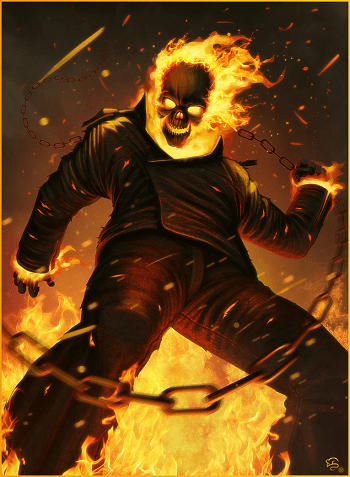 Some anti-heroes like Ghost Rider are created by dark supernatural forces, usually in exchange for service and one’s soul. Ghost Rider was an agent of evil but later broke free of his hellish servitude. The Ghost Rider uses his dark powers to battle evil to protect the innocent, becoming a soul punisher. 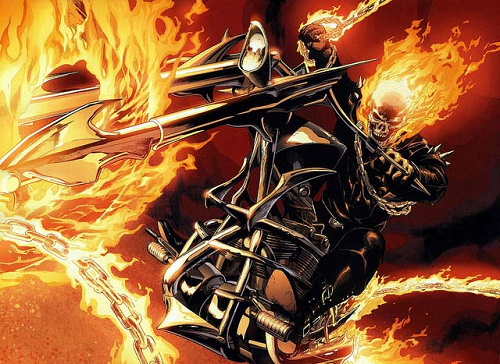 Ghost Rider’s supernatural force is among the most powerful in the Marvel Universe. His dark powers allows him to burn the souls of his victims with hellfire or Penance Stare. This power is used to inflict pain on criminals, vengeance for inflicting pain on the innocent. Ghost Rider is karma in physical form. 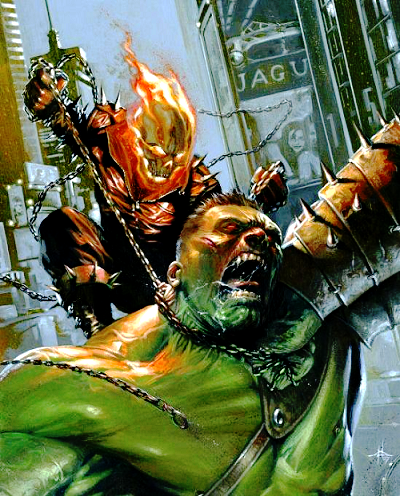 Besides his powers, Ghost Rider’s physical strength is enough to battle a raging Hulk. Ghost Rider has come to the big screen with the 2007 film Ghost Rider and second film Spirit of Vengeance. Excellent imagery on both movies, but which one was better to you? Do you think Nicholas Cage was an excellent choice to become Johnny Blaze? Since Ghost Rider is a dark character, do you agree that those films should have pushed for an R-Rating? 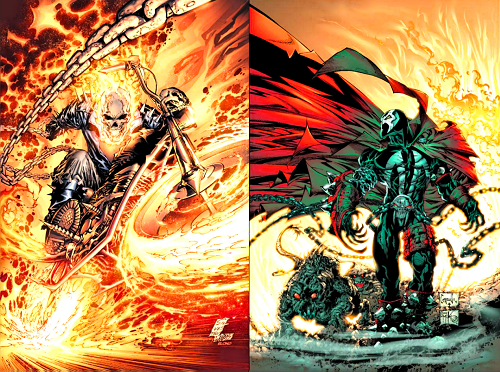 Comic Multiverse fan favorite artwork of Ghost Rider goes to the deviantArt artist, codename: TovMauzer. Excellent Work!